Inspired by the agility found in corporate landscapes, GROVER & JONES designs foster a kinetic work environment to create a balance between work, rest and play. 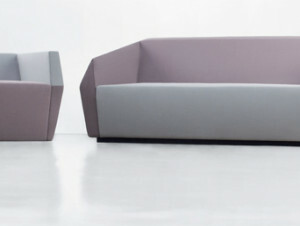 GROVER promotes interaction by inviting users to lean on the sofa’s multifaceted sides for quick discussions. JONES adds a point of interest with its angular form.